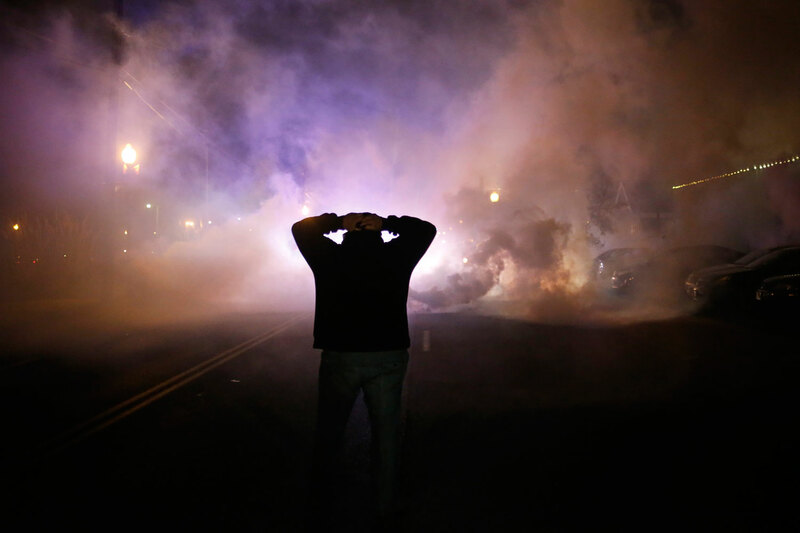 Unrest kept Michael Brown’s memory alive, and unrest is the key to justice. It has now been announced that Officer Darren Wilson will not be indicted on criminal charges for the killing of 18-year-old Michael Brown. But the writing has been on the wall as well, and on the bodies of protesters who have demanded justice. No one I talked to while in Ferguson believed there would be an indictment. No one I spoke to could bring themselves to trust that the system that killed Michael Brown would care about his life now. All that I spoke to were prepared to continue this fight. Because even if Wilson had been indicted, true justice would not have come to Ferguson, St. Louis, Missouri or America. It would have meant one cop being tried for the death of one black boy in one town. Wilson’s indictment would not have prevented the deaths of Kajeime Powell, Vonderrit Myers, Tanesha Anderson, Tamir Rice or Akai Gurley. Only a lasting justice that values black life is capable of that. But what is justice in a nation built on white supremacy and the destruction of black bodies? That’s the question we have yet to answer. It’s the question that shakes us up and makes our insides uncomfortable. It’s the question that causes great unrest. There is fear in that word, “unrest.” It’s become synonymous with violence. But it is unrest that put Michael Brown’s name into our consciousness, and it is unrest that his kept his memory alive. Unrest is the key to justice. Protesters in Ferguson should not be calm, as they have been admonished by everyone from the president on down. Michael Brown doesn’t need calm. Black boys and girls who grow up in America need their lives to be respected. They need justice.